The Best Stamp Collecting blogs from thousands of top Stamp Collecting blogs in our index using search and social metrics. Data will be refreshed once a week. Also check out Stamp Collecting Youtube Channels. Stamp Collecting newsletter is a comprehensive summary of the day's most important blog posts and news articles from the best Stamp Collecting websites on the web, and delivered to your email inbox each morning. To subscribe, simply provide us with your email address. St. Catharines, Ontario About Blog Canada's premier philatelic publication. A leading source of information about stamp collecting and related fields. A vital source of information about the hobby for both collectors and dealers. Facebook fans 816. Twitter followers 584. United Kingdom About Blog Stamp collecting database for philatelists, stamp collectors and historians. Features stamp articles, stamp archives, a dictionary and philatelic directory. Facebook fans 2,919. Twitter followers 1,948. Finland About Blog Stamp Collecting Blog (SCB) is the premiere source of philatelic information for all stamp collectors, philatelists and postage stamp lovers worldwide. SCB caters over 500 articles, thousand of collector opinions, stamp exchanges and much more. Facebook fans 275. Twitter followers 1,133. London About Blog Stanley Gibbons is the world’s longest established rare stamp merchant. The company continues to serve pre-eminent collectors, philatelists and numismatists all over the world. Facebook fans 6,744. Twitter followers 2,830. Bellefonte, Pennsylvania, US About Blog The APS is the largest, non-profit organization for stamp collectors in the world. Founded in 1886, the APS serves collectors, educators, postal historians, and the general public by providing a wide variety of programs and services. Facebook fans 10,929. Twitter followers 2,966. Jenkintown, PA About Blog Apfelbaum, Inc. has served the philatelic community in the United States and all over the world for over 100 years. We provide stamp collection appraisals, philatelic advice and reference material. Facebook fans 5,028. Twitter followers 327. San Francisco, CA About Blog A subreddit to discuss about stamps and stamp collecting. Follow to find some interesting thoughts and information to inpsire your stamp collecting hobby. Facebook fans 1,093,661. Twitter followers 476,615. Mountain View, CA About Blog Comprehensive up-to-date coverage for stamp collecting, aggregated from news sources all over the world by Google News. Facebook fans n/a. Twitter followers 212,992. Florida, USA About Blog Featuring Histories, Stamps and Banknotes from Countries that no longer Exist. Facebook fans 50. Twitter followers 369. About Blog This blog gives information on stamp collection from various countries. Norfolk UK About Blog Find the latest news on GB stamps from Norvic Philatelics. About Blog David Feldman has established itself as one of the world’s leading stamps auction houses for almost 50 years. We enjoy close relationships with the most important stamps collectors as well as an extraordinary track record reflected in a number of philatelic world records. Facebook fans 1,972. Twitter followers n/a. About Blog MyStampWorld.com is a biggest stamp trading community. Follow to find stamp news and articles. About Blog Phila-Mirror features all the information for stamps and stamp collecting. About Blog Philosateleia provides free U.S. stamp album pages for collectors, plus information and news about stamps and stamp collecting. About Blog A blog by Jim showcasing classical stamps collections. St. Catharines, Ontario About Blog Canadian Stamp News is Canada’s leading source of information about stamp collecting and related fields. CSN has been a strong advocate for stamp collectors, and a vital source of information about the hobby, as well as a meeting place for collectors and dealers. Facebook fans 523. Twitter followers 364. About Blog Freestampmagazine is a blog for all stamplovers. Whether you are a philatelist or you are interested in backgroundstories about any topic imaginable, fsmagazine helps you feed your hunger for curiosity. Facebook fans 266. Twitter followers 477. About Blog filateelia.ee aims to offer information and links about stamps, collecting stamps (philately) and postal history. Follow to know more. About Blog Dealers in investment grade collectibles and memorabilia. Keep up with breaking news on unique collectibles including upcoming auctions and sale results. Facebook fans 2,944. Twitter followers 1,906. Facebook fans 5,306. Twitter followers 607. About Blog Find details on stamps to inspire your stamp collecting hobby. About Blog Rainbow Stamp Club is for all Stamp lovers and the objective of this club is to create philatelic fraternity around the world. About Blog MB's Stamps of India features philatelic items and articles related to India and philatelic news from India and the World. About Blog Exploring all topics to do with the wonderful postage and revenue stamps issued by Canada since 1851, and the history of their use. The mission is to spread all relevant knowledge connected with Canadian stamps and postal history. About Blog Travel down the highways and bye-ways of Commonwealth stamp collecting for news and views about Commonwealth stamps. About Blog Barbados Stamps is a free online resource for collectors of Barbados Stamps and covers. The site here is available as a free resource for anyone wanting to see what certain stamps look like, and if you like to get an idea of the various shades that exist in some of the early stamps. Facebook fans 699. Twitter followers 1,279. About Blog A blog sharing some philatelic knowledge for stamp lovers. Follow to find general philatelic discussions, discourses about collecting and specific sets, findings or researches done during collection. About Blog Lighthouse Stamp Society organization was established to promote the collecting of lighthouses on stamps and other philatelic related items. The Philatelic Beacon is the bi-monthly publication of the group and contains informative articles about stamps from around the world. Facebook fans 112. Twitter followers 179. About Blog A blog featuring details about our Indian Stamps. About Blog Waterfowl Stamps and More is your comprehensive resource for fish and game stamps, licenses and prints. Facebook fans 615. Twitter followers 3. London About Blog Thestampblog.com is probably the most exciting and one of the most influential stamp websites on the net. It contains hard-hitting articles about collecting and collectors. It is put together by Jack Shamash who is a top British journalist and member of the Royal Philatelic Society London. Australia About Blog A sweary-mouthed stamp collector, celebrating and bollocking philatelic design and collector culture. Facebook fans 102. Twitter followers 376. About Blog The blog features daily updated worldwide Birds stamps collections. Follow to find useful information to add to your knowledge. About Blog Here you will find stamps, first-day covers and postcards gallery. About Blog Here you will find information on Europa, Cept, Norden & Sepac stamps. About Blog Trevor Pateman is a dealer, specialising in Russian Area and East European Philately. Follow the blog to find posts on stamps. About Blog The blog provides general information about classic era philately. About Blog Myanmar stamps information, philatelic research and post office reports. About Blog Indian Thematic Society, is an organisation, who use different themes, as the basis of their collections. Main aim of the Society is to promote thematic and topical philately in general and provide a common platform to all collectors for sharing and gaining their knowledge. About Blog Find insights of Unusual and Unique stamps. Follow to know what each stamp resembles. About Blog A blog that features articles about stamps and show pictures to give you some interesting thoughts and information about stamps and stamp collecting. About Blog Philately is the study of stamps and postal history and other related items. In this blog you will come across write ups related to stamps. About Blog Worldwide Stamps Collection. Argentina About Blog The intention of this blog is to show all the new releases of stamps with Lighthouses. From those dedicated exclusively to this topic up to the stamps where you have to use a magnifying glass to find a Lighthouse. About Blog A blog showcasing collection of facts and images on rare stamps and coins of the world. Thailand About Blog Find a wide collection of stamps and covers to inspire your stamp collecting hobby. About Blog Your source for rare country/rare postcards and stamps. About Blog A blog by Irene Chen showcasing interesting collection of stamps. About Blog Here you will find a collection of mint stamps, FDC, postcard, covers. Follow to know more. About Blog Find insights of a wide range of stamps along with their significance. About Blog A blog about anything and everything to do with the stamps and postal history of Nigeria. The mission is to create awareness of the amazing possibilities that are open to collectors of Nigerian stamps and postal history as well as to accumulate and disseminate relevant stamp knowledge. About Blog In this blog you will find all complete stamp sets and stamps from the author's stamp collection. About Blog Find insights of stamps, postage stamps, 1967 stamps and world stamps. Follow to know more. About Blog A blog where you will find worldwide philatelic covers. Follow to fetch more information. About Blog Here you will find interesting information on stamps and stamp collecting. Follow to get useful insights. About Blog Stories that can be learned from stamp collecting. About Blog News, commentary and opinion on South and Central American philately. You'll find that the focus is less on the individual stamps themselves and more about what is going on around them. Events, auctions, news, analysis and occasional commentary about the global stamp market in general, irrespective of geography. About Blog Find wide range of bird themed stamp collection. About Blog Here you will find worldwide ship stamps and other maritime themes on stamps. Follow to get the latest updates on philately. About Blog A blog about postcards and stamps by Brane & Nina. Astcote, UK About Blog News for collectors of British Machin definitive issues (and the new pictorial definitives) from a collector who was there when they started in 1967. About Blog The blog is dedicated to covers with stamps featuring lighthouses from around the world. Israel/Serbia/Yugoslavia About Blog Find useful information about rare and unusual stamps. Follow to get more insights about the hobby. About Blog This is a blog about stamp collecting, written for a general audience. The purpose is to revive, sustain and promote interest in stamp-collecting. About Blog Heritage of Indian stamps site showcases all kinds of Indian fiscal stamps and modern Indian stamps lists. About Blog All about Singapore Stamps, stamp collecting, postal history and anything related to philately. About Blog Find Malaysia Postage stamp, miniature sheets, first day covers and other philatelic products collection. About Blog In this blog you will find stamps with flags of the world and all other information related to philately. Lisboa, Portugal About Blog My auction acquisitions blog by Luís Paiva. USA About Blog StampNews.com is a guide for those who love stamp collecting. Find current news on stamps, rare stamps of famous persons, beautiful modern stamps world-wide. Facebook fans 1,360. Twitter followers 26. 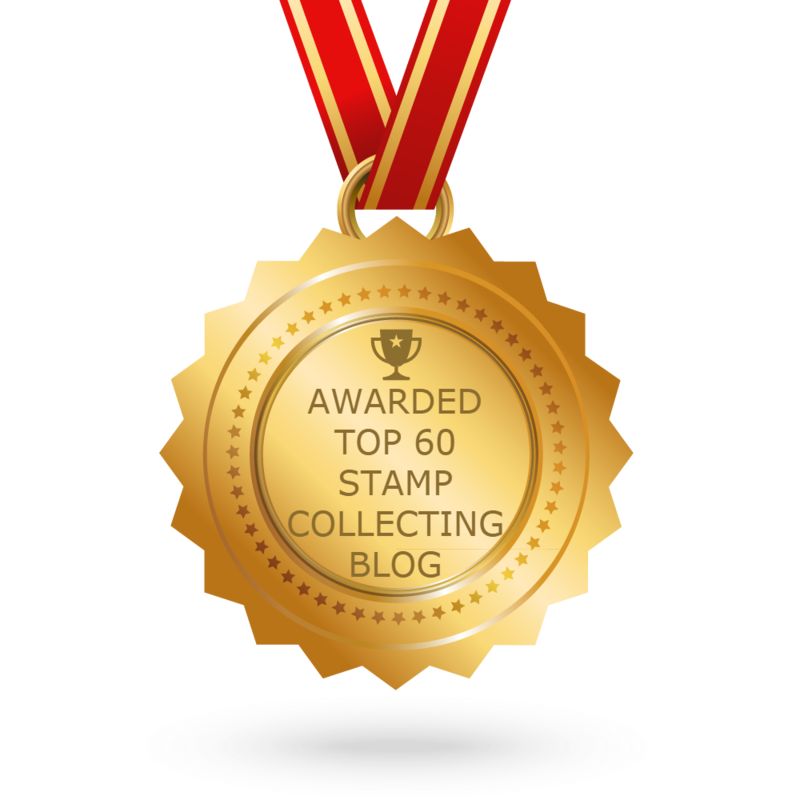 CONGRATULATIONS to every blogger that has made this Top Stamp Collecting Blogs list! This is the most comprehensive list of best Stamp Collecting blogs on the internet and I’m honoured to have you as part of this! I personally give you a high-five and want to thank you for your contribution to this world.